Remember focal length! Allow for 1 inch of space on either side of the lens (from your eye to the lens, and the lens to the coin). Maintain posture. Bring the object up to eye level. Keep both eyes open! This will prevent eye strain. 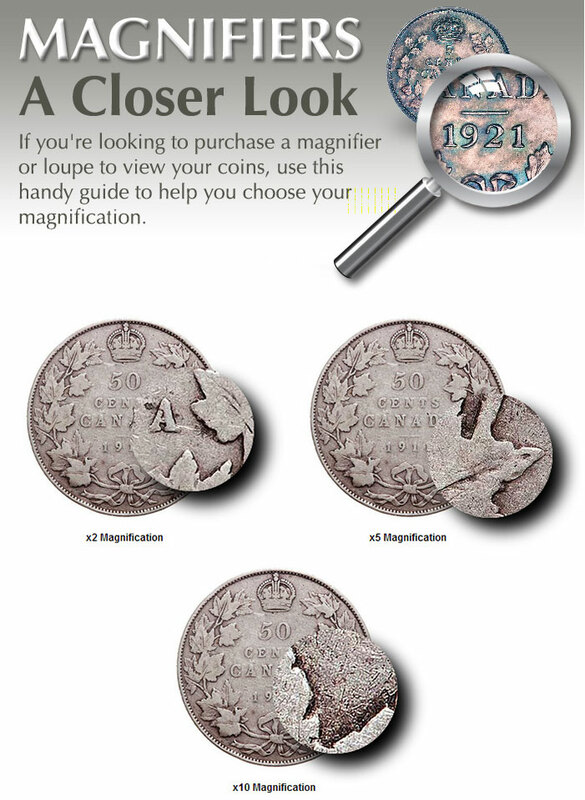 Be sure to have good lighting when viewing your coins. This will also help prevent eye strain.